Medical malpractice occurs when a health care professional, such as a doctor, nurse, or surgeon, or health care facility, such as a clinic, hospital, or emergency room, does not exercise a proper standard of care, which results in the serious injury or death of a patient. Due to the extensive training that medical professional receive and the fact that the a patient’s heath and life are dependent on the provider’s care, we hold these professionals to a higher standard. 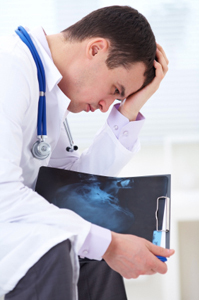 Over 80,000 Americans die because of medical malpractice annually. If you were injured by medical professional’s mistake or if a loved one was killed by medical malpractice, you need a personal injury attorney that understands the emotional and physical toll that these errors can take. The attorney should be aggressive in seeking the compensation that you deserve.